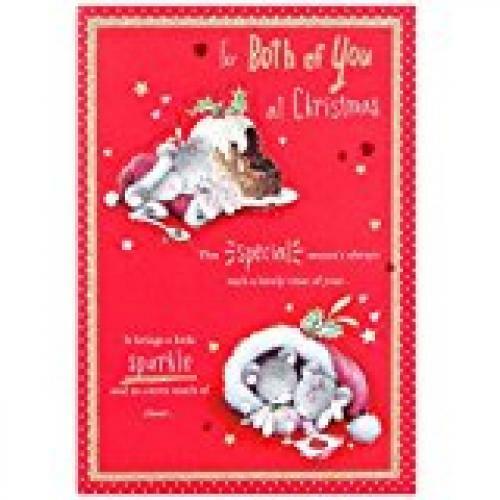 Cute card decorated with red heart shaped gems and gold glitter, the words on the front read "This special season's always such a lovely time of year... It brings a little sparkle and an extra touch of cheer..." The verse finishes inside "So hope that you will find this is your happiest Christmas ever... And you'll spend every moment in your favourite way- together! With love To You Both".